Welcome Home! We have just what your looking for! 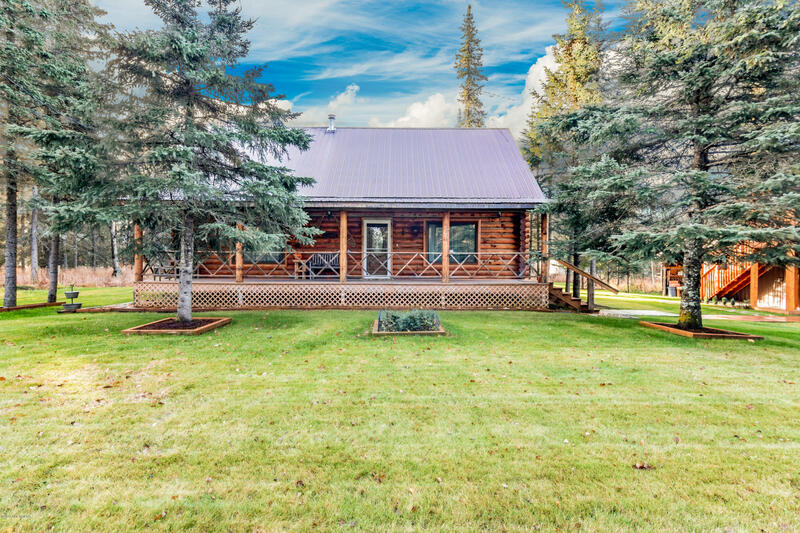 This spacious 2 Bedroom, 2 Bathroom Log Home with Custom Touches and Attention to Detail is sure to Please. Updated w/New Hardwood Floors, New Windows, STEAM SHOWER. 1200sqft. Basement for the Growing Family! BONUS LOFT, Large Greenhouse, Fire Ring, Studio over the 2 Car Garage, Wired for Back Up Generator. Covered Decks and Lush Landscaping!